When most people look at a digital map, one of the first things they zoom in on is their home. But for many Indigenous people from remote areas, they couldn't see their homes and communities on Google Maps and Google Earth. That all changed In June 2017, when Google added more than 3,000 Indigenous lands to those sites. It was a long time coming for Steve DeRoy, who was an advisor to the project. 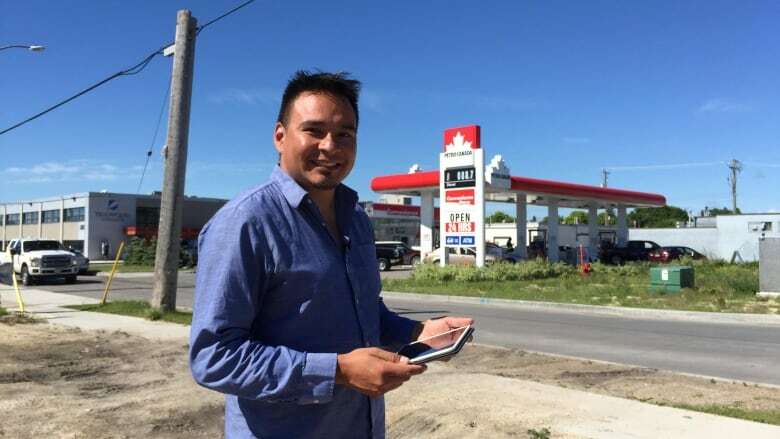 DeRoy, an Anishinaabe/Saulteaux cartographer and a member of the Ebb and Flow First Nation and founder of IndigenousMaps.com, said including Indigenous lands on digital maps acknowledges these communities. "Indigenous peoples are an important fabric of this country and they are often left off the map," he said. "It just made sense to ensure that they were on a popular site like Google." Much of the data used to map Indigenous lands came from Natural Resources Canada — which outlined lands allocated to communities through the Indian Act and reserve system. DeRoy continues to work with Google and Indigenous communities to expand the map to include traditional territories. What matters most, he said, is that the mapping comes from within communities. DeRoy leads mapping workshops, through his organization, The Firelight Group, to help Indigenous communities put themselves on the map. When there are proposed large-scale energy and resource-extraction projects like pipelines, Indigenous communites are often forced to prove their rights to land. Maps are one of the ways land rights are articulated. DeRoy works with communities to map their territories and to determine the impacts that a project may have on their lands and culture. "Mapping becomes a tool for articulating and telling that story of land use from the community's perspective," he said. "[It can] allow for the community to be in that driver's seat to say, 'OK, we're telling you this because this is important to us. Now, what are you going to do about it?'" Mapping workshops can include using the base Google map and going through a semi-structured interview process with members of the community to understand their relationships to their territories. This collaborative approach, said DeRoy, is important for creating an understanding of the potential impacts of proposed projects. "Indigenous people should be creating their own maps," he said. "The data belongs to those communities — it's how the community applies that data to be able to make those informed decisions."